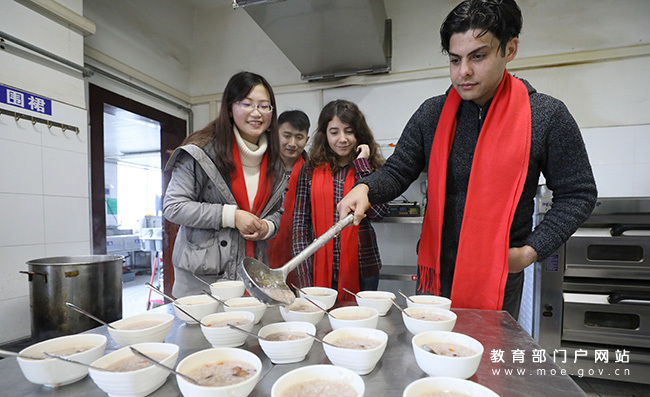 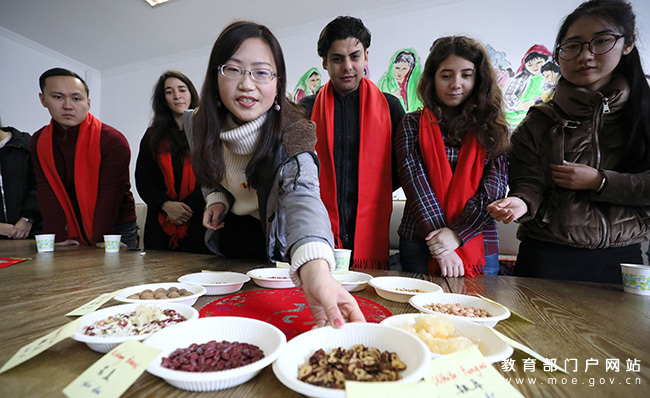 On January 21, 2018, a congee feast was held at Jiangsu University in Zhenjiang, Jiangsu province to celebrate the Laba Festival, where international students from Russia, the Netherlands and Iraq learned to make Laba congee and explore more about Chinese culture. 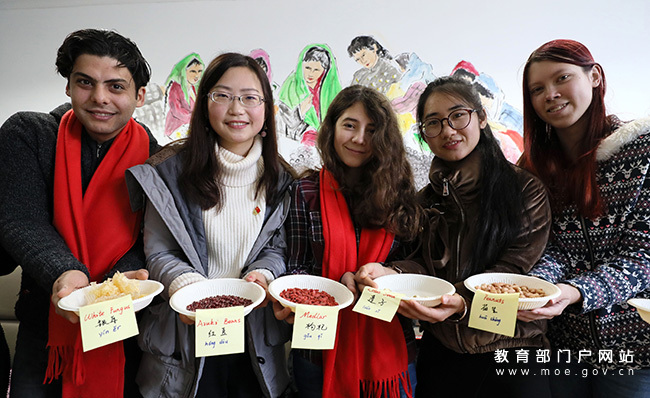 The Laba Festival is a traditional Chinese holiday observed on the eighth day of the twelfth month of the Chinese lunar calendar, which falls on January 24 this year. 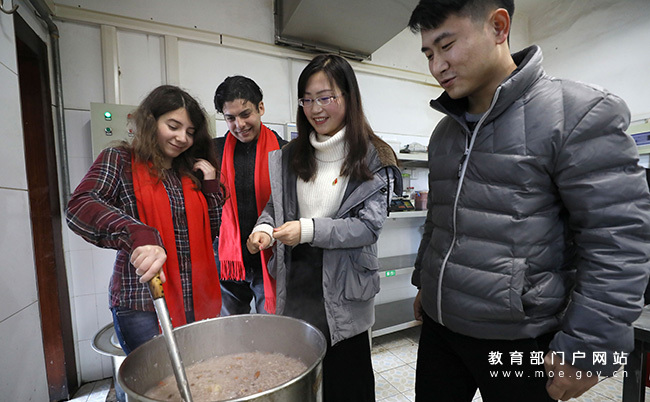 A Chinese student introduces to international students the Laba congee ingredients and the Laba Festival customs.